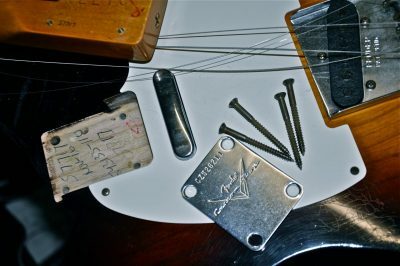 The Fender Telecaster Handbook: How To Buy, Maintain, Set Up, Troubleshoot, and Modify Your Tele Author: Paul Balmer Foreword: Andy Summers This is the first hands-on how-to manual devoted to the Telecaster. 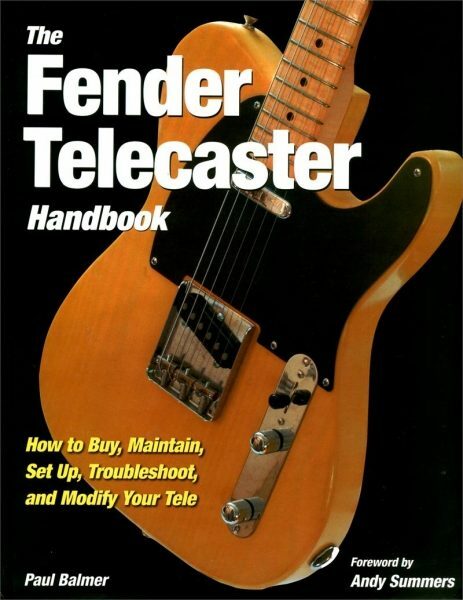 This guidebook shows owners and dreamers the basics of selecting and buying Telecasters. 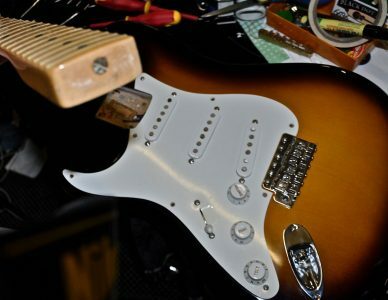 It covers maintenance and repairs such as tuning, setting intonation, tremolo alignment, fret repairs, bridge and nut adjustments, electrics troubleshooting; spur-of-the-moment stageside fixes; and some basic performance enhancements like adding “hot rod” aftermarket pickups.